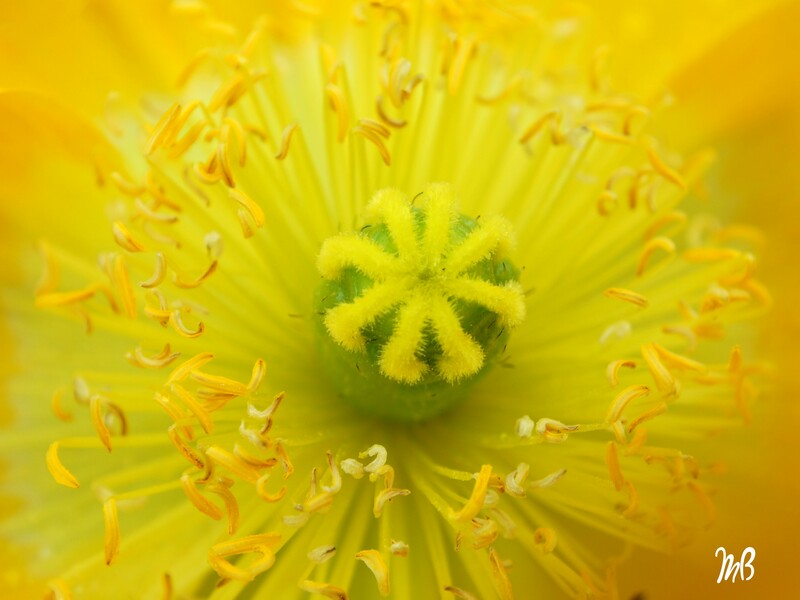 A macro shot of a vivid yellow poppy. Most species of poppy are used as ornamental plants due to their vibrant and bright colors., Some are used for drug and food. Such as opium poppyseeds and poppyseed oil.